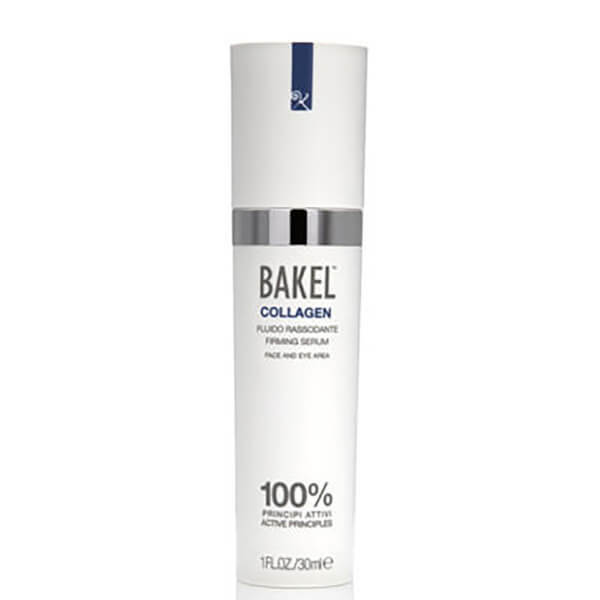 Firm and soothe tired, lack-lustre skin with BAKEL Collagen Firming Serum. Combining vegetal collagen with regenerating panthenol, the innovative, anti-ageing formula works to improve skin's tone and elasticity whilst soothing and nourishing for a youthful looking complexion. Intensely moisturising, the serum's blend of vegetable glycerine will effectively moisturise to inspire younger, firmer looking skin. If a sleepless night leaves you waking up with a tired and lined face, pat COLLAGEN on it and you will immediately find compactness and sharpness.